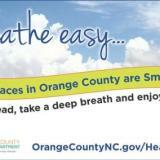 Breath Easy...Orange County's Public Places are Smoke-Free. The policy was effective January 1, 2013. Click Here for more information about the Smoke-Free Public Places Rule & Smoking Cessation Options. 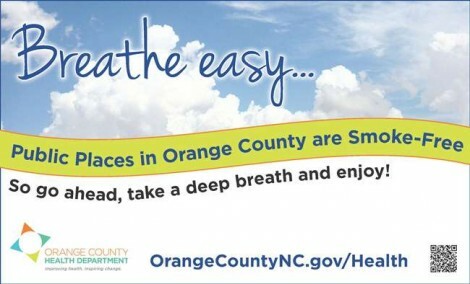 Other questions, visit the Orange County Health Department.